I am a volunteer. I have done everything from mucking out the barn, shoveling manure from the pastures, feeding, watering, helping wrangle ducks and rabbits but I have not helped with an actual rescue. I am too sensitive, emotional and quite frankly I think I would fall apart. Children enjoying Magoo and learning compassion for all beings. Darla, our founder, is one of the strongest women I know. Darla has saved so many farm animals from unspeakable situations. She is a rock. Rescue life is not easy but is incredibly rewarding. Not only do you see horrible things, you can’t just decide to take a day off or meet your friends for lunch, you are constantly needed and there is always plenty of work to be done. Oh and the weather…no matter if it’s 95 degrees and humid or a snowstorm, the animals need to be taken care of. Our fearless leader during a snowstorm doing what needs to be done no matter what the weather. So why does she do it? Why does anyone? For the love of the animals. There is no better feeling than knowing that you have made a difference in the life of a sweet, innocent animal that has been mistreated by a human. Now, not all animals that come to the sanctuary come from bad situations; some of our animals are here because of a death, divorce or other unforeseen circumstances. Sweet Dolly, the product of a divorce now lives happily at the sanctuary. Another important part of rescue life is marketing and fund raising which is where I come in. Running a rescue is very expensive, not only is there food, water and shelter, there are lots of vet bills which can be very costly. Many of the animals that come to us have injuries or are ill and need medical care which adds up quickly. One expense we don’t have is employees. 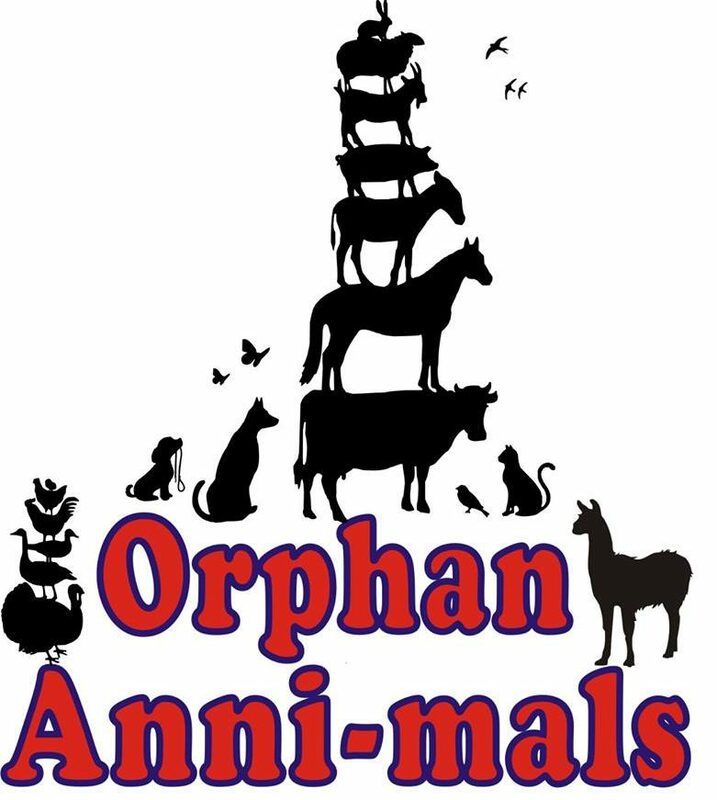 Here at Orphan Anni-mals it is Darla and her husband, her son and some family friends who muck and feed everyday. My job as a volunteer is get the word out about the sanctuary and help raise money to keep us going. With the winter quickly approaching this a crucial time for fundraising, we just added new fencing and need to add more, we also need money for shelters and food. This past spring and summer we took in several new animals, now we need to make sure we have enough shelter for them come winter. Friends of Orphan Anni-mals putting together a shelter for us. To help our fundraising needs I have created this website and blog, an Instagram account, an Amazon Wish List and a Gofundme page and through the generosity of our followers and friends we are able to keep going but we always are in need. So if you are reading this, please consider donating, all donations are tax-deductible. Another way to help is to be a monthly sponsor for one of our Anni-mals, you can go to our Sponsor page to see who needs a sponsor; it also makes a great gift for an animal lover. We will be having our annual fundraiser on Saturday, October 20th from noon to 4pm. The fundraiser is held at the sanctuary and is fun for the whole family. There will be pumpkin painting, a silent auction, games and of course meeting the animals! Come join the fun for a great cause. Hope to see you there and thank you for your support!